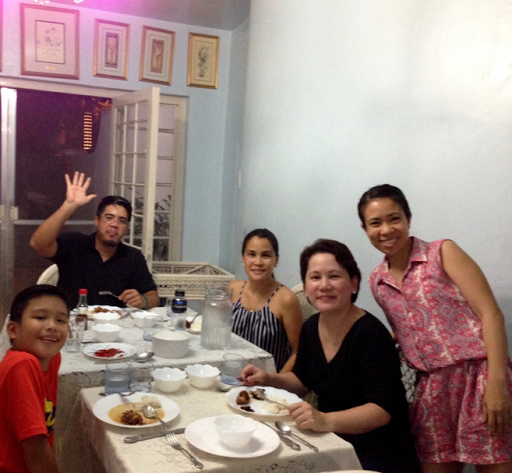 Every time I go to Cebu the Junkies..... Cat, Shey and Tricia would always ask me to buy Lechon for Sinigang. I bought the Lechon during my last trip but they were so busy with Pasinaya (Bel-Air Fiesta) dance practice. Finally! Pasinaya is over and I got to be with the Junkies again! With Cris and Jose .... Vasco joined us after a while. The early birds were able to enjoy the Choriburger. That was another loot from my Boracay trip. 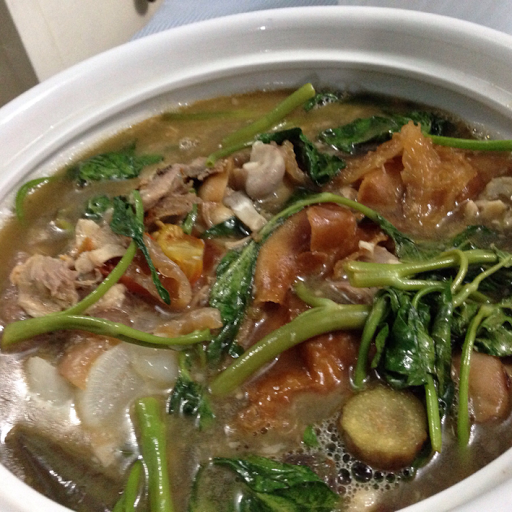 I used the slow cooker to boil the lechon. It was very tender and the broth was flavorful. I added some of Rico's spicy lechon so the sinigang was just a little spicy even though I forgot to add the green sili. 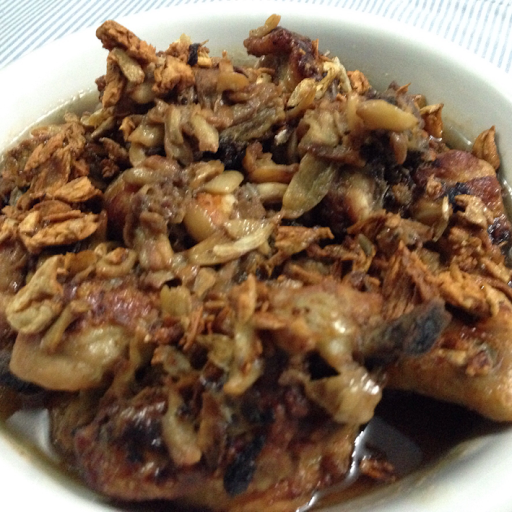 I have been craving for Garlicky Chicken Adobo. It is just like Mayette's Soyless Adobo but I sprinkled toasted garlic on top. I am so glad to be with the Junkies again! I missed our cooking and eating sessions! Now that the fiesta is over.... We will have our own fiesta in our tummies!